Thank you for your avid interest in Comme les Francais- my series of posts where I take apart that magical time I lived in Paris and share my observations with you on the French philosophy of life. I will continue those posts (there is so much to discuss!) and am pleased to announce the addition of two new series to The Daily Connoisseur: Little Luxuries- where I highlight small luxuries that can make life that much more delectable; and Portrait of the Artist- where I interview local (widely) unknown artists and get to know them from a connoisseur’s perspective. My Portrait of the Artist articles are forthcoming but for now I would like to introduce to you my first post on Little Luxuries. I am in the midst of reading Debra Ollivier’s latest book What French Women Know (review forthcoming) and am, so far, enjoying it immensely. It is filled with so many thought-provoking topics and allows the reader to capture a glimpse into the psyche of the French woman. So many of Ollivier’s observations are so spot on with my experiences living in France and observing Madame Chic and Bohemienne that it is a particular delight for me to read. The second chapter of the book is entitled Mystery. Ollivier purports that French women are less like their American counterparts when it comes to revealing things about themselves. They enjoy relishing in the unknown- allowing you to guess about their innermost secrets. Ollivier suggests that their air of mystery makes them more alluring- which is in stark contrast to our overly friendly American mannerisms- which can be endearing and make us lovable- but leave little to the imagination. I couldn’t agree more. I believe many of us Anglos suffer from TMI (too much information) syndrome. I suffer from a moderate case of TMI syndrome. While I am a relatively private person, I do find myself telling my life story a little more often than I probably should (you know, in order to keep an air of mystery about me). I recently got a mani/ pedi from a new esthetician at the spa I frequent and found myself telling her my life story- where I grew up, what I studied in school, what I am doing now, marital status, humorous complaints about married life, my book- you name it I said it. I do this a lot too. And I know I’m not the only one. I’ve had at least three strangers this week tell me their life stories (people are very friendly in Santa Monica). Discussing this very subject on the phone with my cousin today (who I tell absolutely everything to, btw) she asked the very valid question: “Well what else are you supposed to talk about with someone you just met?” In America we are so used to asking the same generic "polite" questions to strangers such as: Where do you live? What do you do for a living? Where are you from? It is normal for us to ask these seemingly harmless questions to “get a sense” of what the other person is like. If we weren’t to ask those questions, what on earth would we talk about? I suppose one could discuss the last book they read, their favorite restaurant, the most recent art exhibition they attended (all the more reason to continue with my pursuit of Culture Comme les Francais). I will explore this topic further in the future (trust me I could go on for ages)… but for right now I would love to know… do you give away too much information about yourself? Or do you prefer le mystere? 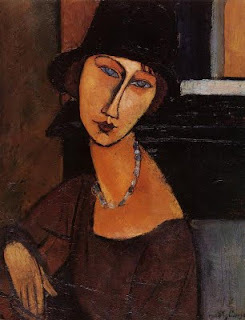 Photo of Modigliani's Jeanne (a wonderfully mysterious woman) is pictured above. Weren't we just talking about the merits of a minimalistic wardrobe? You can imagine my delight when I came across a video about The Uniform Project this morning on cnn.com. The Uniform Project is pledge by Sheena Matheiken to wear the same dress for one entire year. Yes, 365 days. She is doing this to raise awareness and funds for the Akanksha Foundation- which benefits the education of underprivileged children in India. Here are the particulars. Matheiken has seven identical dresses (designed by sustainable fashion designer Eliza Starbuck) that she wears each day of the week. The only thing she changes are her accessories. She has (wisely) chosen a little black dress to be the only thing she will wear for three hundred and sixty five days as (we all know) the LBD can take you anywhere (although I doubt she'll be attending the opera any time soon). What a marvelous experiment for a worthy cause. I truly applaud this young woman's innovative efforts to raise awareness for a cause dear to her heart. I bet her closet is the most minimal of them all... seven little black dresses... I love it! For more information on The Uniform Project, or to make a donation, please click here. I recently did a post on Wardrobe- Comme les Francais- where I discuss the merits of having a minimalistic closet- not filled to the brim with unrelated pieces, but sleek and coherent. I had so many interesting comments and loved reading about what your closets look like and how you curb (or don’t curb) the filling of your wardrobes. Below I have listed my all time classic must haves for a chic, minimalistic wardrobe. I have thought about these items and figure that I could probably live with only these and get away with having a little space left in my closet for special additions every now and then. - 3 or 4 classic Tees in white, grey or black, (maybe striped). I like Michael Stars, Vince and James Perse. - 3 or 4 dresses- with at least one LBD, at least one cocktail dress (I feel you can never have too many of those). - A great black skirt (A-line for me… J. Crew has a great one right now- wool, a-line and shirred). - Silk blouses (I feel you can never have too many of these too and they don’t take up too much space. I love ones by Diane von Furstenberg and Nanette Lepore). - 2 good cashmere sweaters (I love Vince for cashmere). 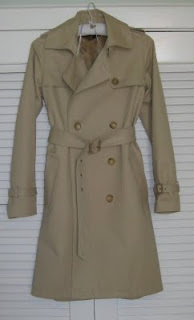 - A good winter coat (I have one in a dark plaid by BCBG that I love but am looking for the perfect black coat… must be tailored and not be bulky- haven’t found it yet). - High quality heels (Ferragamo are the most comfy), ballet flats (London Sole) and boots. - Two good day handbags (although right now I only am using one- a black leather satchel by Monserrat de Lucca). There you have my list of essential items. I have been building this essentials wardrobe for the past eight years- saving up and buying the highest quality I can afford. When I don't waste my hard earned dollars on lesser quality items and really save up the results pay off- I find the high quality items are beautiful and last much longer. Also as far as space goes, note that almost half of the things on this list do not require valuable hanging space in your closet (sweaters, jeans and tees can be folded) hopefully leaving room for lots of unexpected wardrobe additions. I would love to know… what are your essentials? 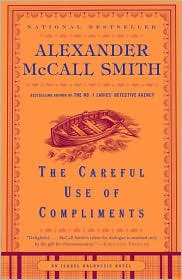 The Careful Use of Compliments by Alexander McCall Smith is the fourth installment in the Isabel Dalhousie series. Anyone familiar with my blog knows how much I adore McCall Smith and I am thrilled to report that once again he has managed to produce a novel that was both moving and thought provoking. Isabel is a philosopher and the editor-in-chief of The Review of Applied Ethics. She is juggling a number of complicated things in her life including a new baby, her baby daddy (for lack of a better term), being suddenly fired from her post as editor on the Review and dealing with the mysteries of an art forgery. Alexander McCall Smith has such a masterful way of weaving his characters around philosophical plot twists. These novels are classified as "mysteries" but if anything they are more mysteries of the heart rather than traditional whodunits. What I love the most about this series is the subtle way McCall Smith explores certain philosophical questions and very funny moral dilemmas concerning human nature... such as- should one use compliments (false compliments) to get ahead in certain necessary situations? (Hence the title). Or when one firmly believes in the power of good manners... is it OK to disregard them when met with a nemesis? If you are new to the Isabel Dalhousie series, I suggest you start at number one, The Sunday Philosophy Club. Getting to know Isabel and Co. will feel like you are making lifelong friends and you will find yourself laughing out loud from McCall Smith's take on the nuances of human nature. This American is culture-starved. I came to this realization after noticing that the primary topic I blogged about this past summer was makeup. Don’t get me wrong. I love make up and love blogging about the certain femme fatale qualities that one can bring out with the right shade of red, but dear God, please let this not be the only thing I bring to the table! When I lived in Paris with Famille Chic I was immersed in culture… so much so that I probably only watched about 6 hours of television the entire six months I was there (if that). Famille Chic did have a television- but it was very small and it was not the center of the living room- contrary to many American homes where the television is the center of the living room (and the kitchen, and the bedroom and the guest bedroom… you get the idea). I will not go into detail about the living room of Famille Chic here, however, I will leave that for a future post on interiors. What was I doing instead of watching television you ask? I was looking at art, going to the cinema, reading books in the Jardin des Tuileries, discussing philosophy with my fellow ex-pats over an espresso in any and every café in the city, going to the theatre, the ballet, the opera. Oh la la! I immersed myself and took advantage of all of the culture Paris had to offer. No wonder I didn’t have time to watch American Idol (not that they have that there). I would love to know… how do you keep from being culture starved? 1. I play the piano. I have a bad habit of practicing really difficult songs- learning them ¾ of the way through and giving up right before the end. To mend this I do not allow myself to learn a new song until I have completed the last one. Right now I am working on Piano Concerto No. 21 in C Major by Mozart. 2. My dog Gatsby (pictured above) is the absolute delight of my life. 4. My husband’s business is in the fashion industry- I help him run it. 5. I travel to London twice a year. 6. I try to write for two hours a day (give or take an hour). 7. My favorite city in the world is Paris. 8. Je parle Francais but can't get my computer to speak it! 9. I love to cook but am petrified of throwing dinner parties for anyone other than family and really close friends. 10. I am on the second draft of my murder mystery and hope to be finished before the New Year. And now I pass this award onto the following 10 bloggers who, in my opinion, blog par excellence. 1. The Epic. The Epic, by M. Lane is a blog about living well. M. Lane is a keen observer, a sharp writer and frankly the type of stylish person that the world could use a lot more of. I am new to this blog and love it! 2. French Essence. Vicki at French Essence already has a cult following. She is an Australian living in France and does everything with style and panache. Her blog is fabulous and she is the celebrated author of My French Life. 3. A Rose Beyond the Thames. Rose is a Londoner blogging about her fascinating life and the wonderful things she encounters in it. I’ve followed this blog for a long time and it never fails to please me. 4. Chez la Vie. Cashmere Librarian at Chez la Vie has got style and isn’t afraid to blog about it. (I’m noticing a trend here… I only read blogs by people with style). 5. Fragrance Bouquet. Divina’s blog about perfume is evocative and comprehensive. She has a energetic spirit that radiates through her words. I especially love her travel blogs focused on scent. 6. Notes From the Ledge. Scentscelf’s witty and humorous fragrance observations are life-affirming and never fail to bring a smile to my face. 7. La Belette Rouge. A fellow Angeleno, La Belette Rouge explores life in Los Angeles and has several interesting ongoing posts such as Thursdays with Igor and Writing in Valencia. 8. Maitresse. 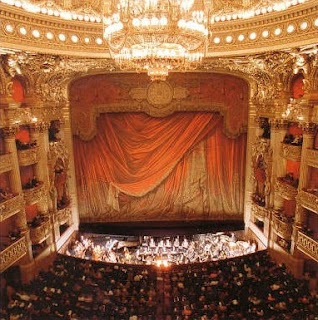 A blog about reading, writing and culture in Paris. I feel smarter after I read posts from this blog. 9. Polly-Vous Francais? This blog has a wealth of information and entertainment for the Francophile. It discusses in intricate detail the ongoing allure of the City of Light. 10. The Machinist’s Wife. Helen is a mother, a businesswoman and pie maker all rolled into one. Her fascinating blog follows her unique life. I especially love her posts on pies and poetry. “This is where you will sleep” (a twin bed with a velvet coverlet… charming), “Here is your desk for your studies” (a stately desk facing the window with plenty of workspace… perfect), “This window opens out onto the courtyard for fresh air” (beautiful floor to ceiling windows- the likes I had never seen before… nice view too! ), and “You may place your clothes here”. It was all going so well until that moment. “You may place your clothes here.” I instantly felt hot and started to panic. Madame Chic was referring to a tiny wardrobe- a piece of furniture that looked like it might fit about ten items. I had brought a suitcase packed with clothes to last me six months! (I clearly had not discovered the art of packing yet). Where was the closet?! The ample storage for my ridiculously large collection of clothing?! At the time I thought I was being subjected to some cruel experiment- a fabulously chic room with no closet space. It was like being on survivor. The next day, sitting in a café with my other friends from California I lamented about my lack of closet space. I then learned that the tiny wardrobe was not just unique to me- my friends all had the same amount of closet space in their French families’ homes too! And that is when I had my light bulb moment. That tiny amount of closet space is all most French women require. Forget walk in closets or wardrobes stuffed to the brim with clothes. The French revere quality over quantity and would rather have 10 fabulous and chic articles of clothing, than 30 average ones. I learned the hard way and literally lived partly out of my suitcase for the next six months (not chic). Now I try to cull and edit my wardrobe on a regular basis. Now, I believe if you live in a mansion and have a walk in closet… live it up! (I know I would). But if you live in the city, are pressed for space and are interested in having a minimalistic (but chic) wardrobe, let the quality over quantity adage be your rule. 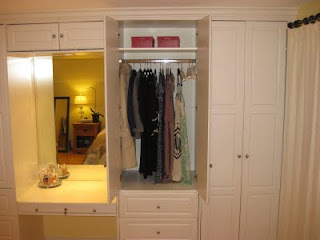 B and I recently had custom closets built (see picture above). Since we live in a townhome there isn’t much space to be had so I am practically forced to enforce this oh-so- French rule whether I like it or not. One rule I live by is if I buy something new, I donate something to charity in order to make room for the new item. So, I would love to know… what is your closet like? 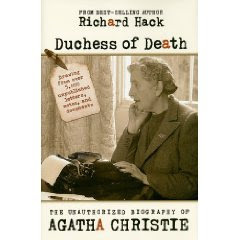 Duchess of Death: The Unauthorized Biography of Agatha Christie by Richard Hack is a moving, highly readable portrait of one of my favorite authors. I have grown up reading Agatha Christie's books- I am proud to say I have read every single one of her mysteries and almost all of her short stories. For being such an avid fan it is surprising that I knew so little about the author's personal life. Hack's Duchess of Death draws from over 5,000 unpublished letters, notes and documents. Hack weaves each of these resources into an enthralling biography. The prologue starts with the greatest mystery of Agatha Christie's own life- the period of time she mysteriously disappeared for 11 days in 1926. That incident has never been fully explained and was a topic left out of Christie's own autobiography. The incident was largely explained here, providing answers that I have yet to find anywhere else. Christie's life had its share of hardships- from her first husband leaving her for another woman to living through the trying and life altering period of two world wars- but on the whole she lead a fruitful and abundant life with her closely knit family and her second husband, Sir Max Mallowan. As a writer the part that fascinated me the most in the Duchess of Death was the beginning of Christie's writing career. She wrote The Mysterious Affair at Styles (Hercule Poirot’s first mystery) for fun- to see if she would be able to fool her sister with the ‘whodunit’. She sent it off to publishers and received several rejection letters. Over a year after submitting Styles, she received a letter that changed her life. Someone was interested in publishing The Mysterious Affair at Styles- and thus, her writing career was born. The rest, as they say, is history. Agatha Christie is still credited as being the best selling author of all time. I found myself strangely emotional as I finished this biography. Hack’s affection for Agatha Christie is abundant throughout the book. I found myself rooting for her from page one. And as I continue to reread her books and watch her specials on television I will remember and cherish the special life she led and her contribution to the world as a true artist. Last night R and I attended the opening of Warhol Wild at Hamilton Selway Fine Art in West Hollywood. Warhol Wild is a collection of unique animal screen prints, drawings and collages by my favorite pop artist, Andy Warhol. The opening reception was hosted by Hollywood screen legend, Tippi Hedren (of Alfred Hitchcock’s The Birds) for the benefit of The Roar Foundation for the Shambala Preserve. The Shambala Preserve is Ms. Hedren’s passion. A home for over 70 stray lions, tigers, cougars, leopards and other big cats, the Shambala Preserve provides a safe environment for these forgotten animals. Shambala’s non-profit, The Roar Foundation, provides education to the public about the dangers of private ownership of exotic animals. The benefit was a smashing success. Money and awareness were raised for Ms. Hedren's foundation. And Andy Warhol’s spectacular screen prints of various animals (zebras, frogs, orangutan, tigers and more) were vibrating with life and color and were admired by all who attended. Meeting Tippi Hedren (pictured above with R and me) was especially special for me as I am an avid Hitchcock fan and count many of his films among my all time favorites. Ms. Hedren is an absolute delight- as sophisticated as I imagined and completely passionate about her shelter for wild cats. We had a particularly interesting conversation about the importance of adopting animals. (B and I adopted Gatsby three years ago and have been delighted by his presence ever since). The Warhol Wild exhibit will run through October 2nd, 2009. A portion of all proceeds to that date will benefit the Shambala Preserve. While living in Paris I quickly befriended the French family of my friend B in my study abroad program. B's French mother (I will call her Madame Bohemienne) was free spirited- the type of Parisian woman with wild, curly hair, bright yellow walls and a penchant for throwing raucous dinner parties. She was so different to my French mother (I'll call her Madame Chic). Madame Chic and her husband came from a long line of aristocrats, had a posh pad in the coveted 16th arrondissement and a vacation home in Brittany. Their walls were cream. They were reserved. 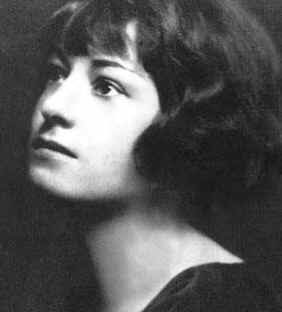 Madame Chic (in stark contrast to Madame Bohemienne's artistic locks) had a French bob with nary a misplaced hair. The two women could not be more different- but each wonderfully unique and full of lessons- ones which I was only too eager to learn. But, I digress. This post is on exercise. The first time I visited Madame Bohemienne I noticed she lived on the 6th floor of her building. And there was no elevator. No elevator?! Six floors is a lot of stairs. The first time I climbed those steps I arrived sweaty and confused. Every time I visited her thereafter, I would prepare myself for the mammoth climb. Half way up I would curse the ancient building and its lack of elevators. I felt like I was perpetually in the scene from Barefoot in the Park when Robert Redford was shocked by the amount of stairs leading to his new apartment. They would never end! I would, inevitably wind up at her door, completely out of breath and in need of a tall drink of water (or perhaps a drink of the stiffer variety). And when I was invited to one of her many dinner parties? Forget it. The heels came off and I braced those steps- cocktail dress and all. Madame Bohemienne was amused by my lack of stamina for those stairs. She would refer to me (and my people) as lazy Americans- too accustomed to being dropped off precisely where we wanted to land. She would float up all six floors without batting an eyelash or even breaking out into a pant (!) and claimed (rather maddeningly) that the walk was good for the derriere. She would say since she didn't work out at a gym she got her exercise in moving through the city and by walking up her stairs. This, for me, was food for thought. Now, back in America, I am still a member of Equinox, but I don't use that as an excuse to avoid certain staircases every now and then. When met with taking the stairs or the elevator, I take the stairs and I think my derriere thanks me every time. Last night R and I attended a special performance by Carol Channing- the legendary Tony Award winning actress. The benefit highlighted a number of causes- raising money for a roof for the Alta Dena Church- a church dear to Carol's heart- and bringing awareness to keeping the arts in the schools- Miss Channing's own personal mission. The evening was fabulous. She debuted three songs from her new CD entitled For Heaven's Sake, as well as sang the songs she became famous for, including: Diamonds are a Girl's Best Friend (my favorite) and Hello Dolly!. Meeting Carol Channing and experiencing her performance from the front row was such a special experience. She comes from that era of glamor, taste and politesse and even though she is in her late eighties, she still has that twinkle in her eye and that enigmatic smile that made her famous. I am grateful to have met her and her husband Harry, and fully support their plight to keep the arts in schools. I have concluded my experiment of mindful eating Comme les Francais for one whole week. It wasn't always easy. And there were times when I cheated slightly- a phone call here, a television on there- but for the most part I was strict with this experiment of eating with pleasure and not allowing any background distractions because I wanted to see what change it would bring to my life- if any. - I snacked less. The French do not snack. Snaking is usually a 'mindless' activity. I would say 90% of the time when I snack it is out of boredom rather than hunger. Eating three meals a day and paying attention to them prompted me to snack less. - I was more active. This week found me going to yoga three times and taking long walks almost every night. I think this 'whole being in the moment and doing things for pleasure' concept trickled down into other aspects of my life- like exercise... who knew? - The meals were more satisfying. Even on the days when I experienced the most resistance to eating properly (not in front of the TV, not in front of the computer), when I actually succumbed and ate focusing solely on the enjoyment of my meal, I felt truly satisfied. - Eating mindfully recharged my battery. I experienced the most resistance when I had to eat alone. Apparently I do not think of myself as good enough company to enjoy a meal with. My mind would always try to convince me that I could get two things done at once (eating and calling my sister- eating and checking email.) When I kicked the multi-tasking impulse to the curb each meal eaten alone felt like a tiny meditation and recharged my proverbial battery. 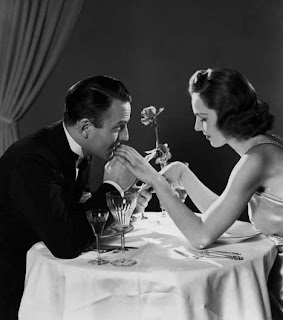 - Dinner with my husband was more romantic without Fox Football Fone-In blaring in the background. This, you are thinking, should have been obvious, but I didn't realize how obvious until I set the scene: played music in the background, drew the curtains, opened the window and made the table look nice. Why can't dinner be romantic 5 nights a week? Going forward I am not going to be as strict with myself for each meal, but I am going to try to be mindful. And maybe- just maybe- capture the magic that I shared living in France for those six wonderful months- the clinking of glasses, the savoring of food, the stimulating conversation. Maybe if I keep this up I can make this pleasurable and romantic way of eating "the norm" in my household. Thank you to everyone that joined me on this experiment. I really enjoyed hearing about your observations on eating Comme les Francais... Salut! I am half-way through my experiment of eating comme les Francais. It is going well- although I did cheat this morning and ate my breakfast in front of the TV, watching the news. The wild fires in Southern California are terrible and I was shocked to find it raining ash when I took Gatsby for his morning walk! I will continue my experiment of mindful eating through the rest of the week and post my findings then. Thank you for your comments and for those of you who are doing the experiment with me. It is more fun to experience this with you! In the meantime, I have had poetry on my mind. 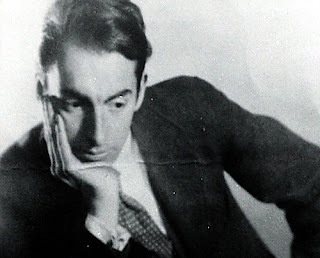 In a recent discussion with my friend on literature, I was amused to discover that my three favorite poets were so vastly different: Dorothy Parker, Percy Shelley and Pablo Neruda. And finally, Pablo Neruda. 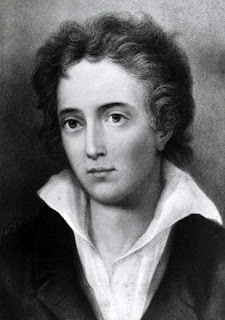 His poems- even translated into English- are so romantic and moving. The Captain's Verses is my favorite of his books.